Spam mail is the infection source of this campaign; attackers use such a type of subject name so that victim is convinced to open the mail and then the attachment. Subject name is such as “Greeting Card”, “My letter just for you”,” Always thinking about you”,” This is my love letter to you”,” Just for you!”,” Wrote my thoughts down about you”,” I love you”,” Felt in love with you!”. 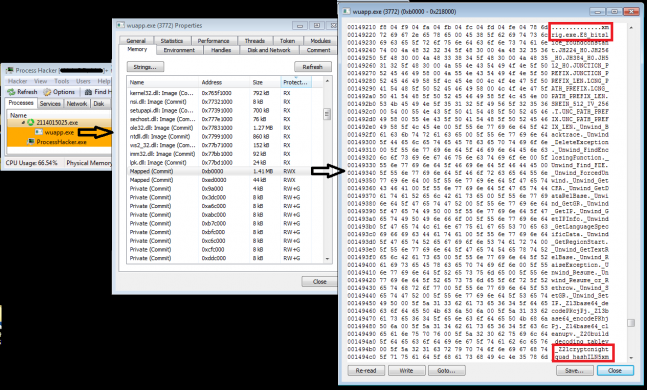 The initial payload downloaded is just a downloader file which creates its self-copy, terminates itself and runs from a new location. 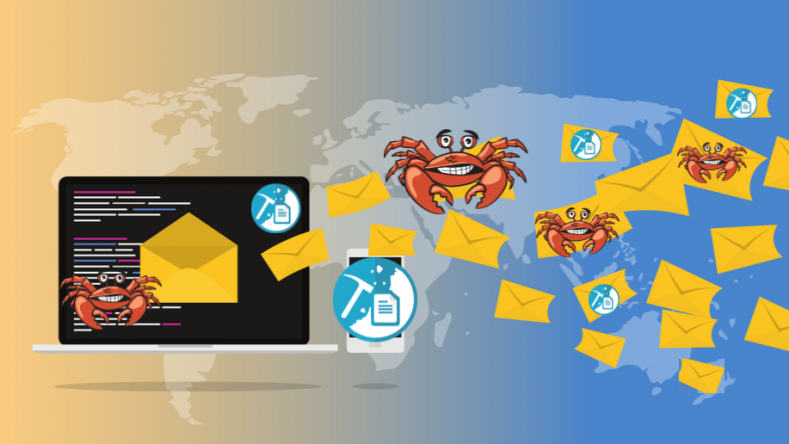 This file downloads three new components containing Mail Spammer, Monero miner and GandCrab Ransomware. Following are the figures which show a list of subject names and user email names. Binary then try to connect with hxxp://icanhazip.com this site is not malicious this website it just tells your public facing IP in the response. ESMTP is user configurable relay-only Mail Transfer Agent (MTA) with send-mail compatibility. MTA is used to transfer electronic mail messages from one computer to another using SMTP. Users in SMTP are not verified when a connection is established, meaning the email doesn’t have to trustworthy, which is the advantage of SMTP. 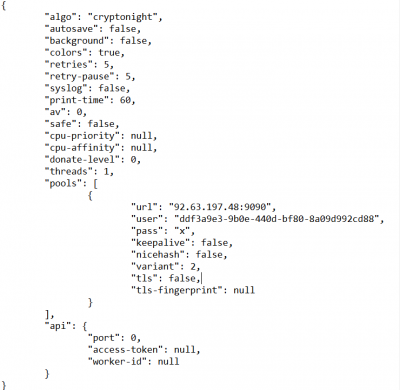 Open SMTP relays are often used to send high volume spam campaigns. Here in this packet, we can see how server-client communication happens. For more details about SMTP refer here. The 2nd stage payload is Monero(XMRig) miner. The cryptonight algorithm is used by Monero miner. When miner gets executed, it creates one folder with hidden attributes and drops its self-copy with a configuration file in JSON format which is already encoded by base64. It also drops VBS file which starts lookup to a compromised server and downloads new variants. This script gets deleted after execution. To stay in the machine, it drops internet shortcut file in the startup folder which has codes to call self-copy of malware. Following is the screenshot of a decoded configuration file. 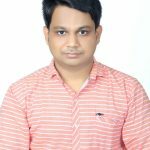 This miner also searches for some Anti-Virus processes but there is a flaw in the code of the miner that if it finds any AV process then it doesn’t do any activity loop. It continues to search for the next process. This miner process doesn’t do any malicious activity related to a miner, it hollows its code to wupp.exe (for 32-bit OS) or notepad.exe (for 64-bit OS) process and that performs further mining activity using the configuration file. There is another loop in this miner which continuously runs and checks if taskmgr.exe is running or not. If found, then it terminates the wupp.exe/notepad.exe process. If the taskmgr.exe process gets killed then it again hollows its code and starts mining. Following image shows how miner hides itself from the task manager. The following traffic shows the XMRig Monero mining activity. The 3rd stage payload downloaded on the system contains GandCrab Ransomware. After execution, this file checks for Russian keyboard layout using RegKey entry, if found, then the process gets terminated. Ransomware also searches if the Anti-Virus is running or not. We have already published blog post related to GandCrab Ransomware. We found the same behavior as discussed in the previous blog. Ransom-note is shown in the following image. Quick Heal successfully detected such campaigns with various detection levels. Previous postMalspam email – Jack of all malware, master of none.